Special Police Forces continue brutalization of Mapuche resistance in outrageous criminalizing spectacle during the ongoing Mapuche Hunger Strike. Dead sardines washed up on a beach in Chile, May 2016. Chilean authorities are investigating the country’s salmon-farming industry after an algal bloom carrying a virulent neurotoxin spread for hundreds of miles along the rugged coastline of Patagonia, triggering a health emergency and angry protests by fishermen. The huge “red tide” has grown rapidly over recent weeks, in what has been described as the country’s worst environmental crisis in recent years: dozens of people have been poisoned by the algal bloom which makes seafood toxic and has deprived thousands of fishermen of a living. 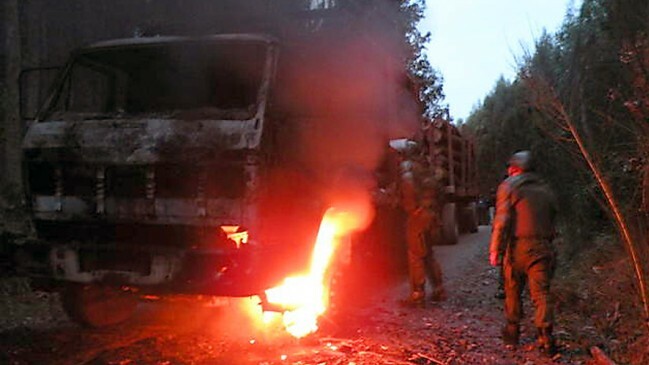 Chilean police examine burned out logging truck, September 2015. Kiñe: We claim responsibility for the sabotage against the logging machinery and equipment owned by subcontractors of Mininco Forestry Incorporate within the Estate of Choque, where there was heavy police presence that we confronted. Two arson attacks were carried out early Thursday morning at various points in the Araucania Region. The first took place in at the Mariposas Estate, located on Highway CH181that connects the townships of Curacautín with Victoria, in the Province of Malleco. According to police reports, the unknown suspects entered the area and lit fire to a shed that contained logging equipment. Mapuches march in Santiago, Chile, against Columbus Day celebrations. Chilean police fired tear gas and water cannon on Sunday to break up thousands of indigenous protesters demanding land rights and condemning Columbus Day, after masked demonstrators began throwing stones. 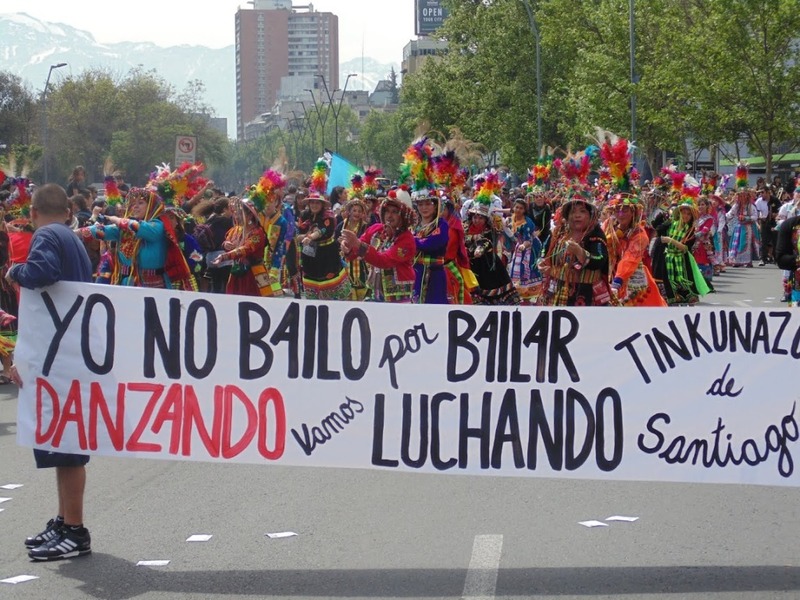 The march in Santiago began festively, with demonstrators decked out in colourful clothing and playing traditional indigenous music from around the country. 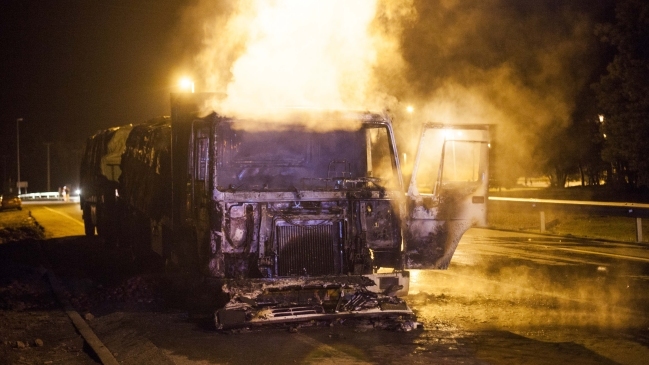 But some protesters turned violent, throwing stones at police, who responded by firing water cannon and tear gas.